Standard Packing : 05 nos. Note : Please select option for your required ampere rating. Suitable for type FN 32/63 / FNX 32/63 S-D-F & for HCO 32 Fuse BaseCurrent Rating : 6ASize : 14 .. Suitable for type FN 32/63 / FNX 32/63 S-D-F & for HCO 32 fuse baseCurrent Rating : 25ASize : 14.. Suitable for type FN 100/125/160/ FNX 125/160/ S-D-F & for HB 160 fuse baseCurrent Rating : 125A.. Description :There LV HRC fuses are system fuse created for operations by the most qualified and rel.. Features & Specifications :Fuse Carrier FC25 (2 to 25A)Conforming to IS-8187, IEC-269, CEE-016, .. Features :Fuse Carrier FC63 (35 to 63A)Conforming to IS-8187, IEC-269, CEE-016, VDE-0635/0636Standar.. 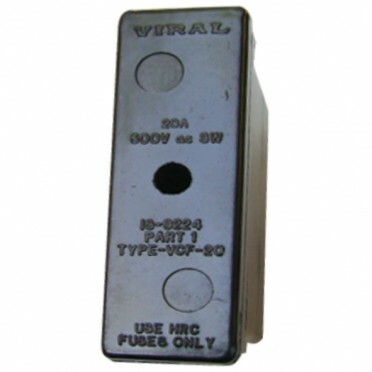 Features & Specifications :DZ HBC Fuse LinkConforming to IS-8187, IEC-269, CEE-016, VDE-0635/063.. Features & Specifications :DZ Gauge Piece (35A to 63A)Conforming to IS-8187, IEC-269, CEE-016, V..